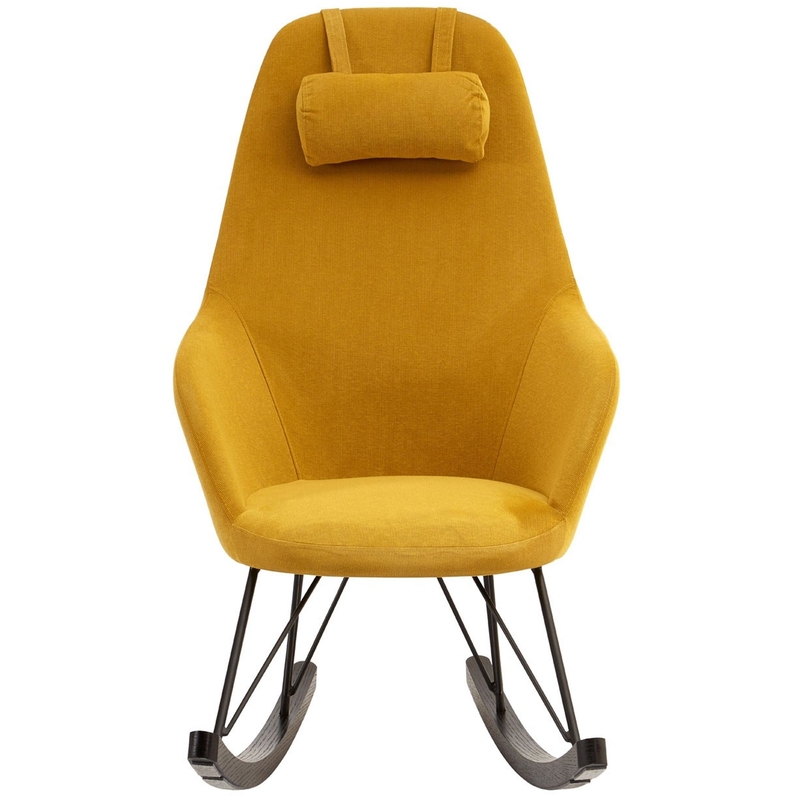 We are proud to introduce this fantastic Kolding Yellow Fabric Chair. It has a fantastic design which looks very modern, as well as looking very inviting and homely. This chair is perfect for comfort, it includes a pillow and it also rocks.